On Tuesday 6th, Wednesday 7th or Thursday 8th March , Highclare Senior School will be opening its doors to prospective parents to visit our School – In – Action. Between 9.00am & 12.00 noon or between 1.30pm & 3.00pm on these 3 dates, Highclare School will be conducting the hugely popular School – In – Action tours. 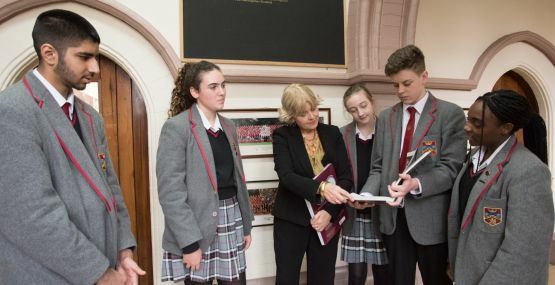 A chance to find out about opportunities at Highclare Senior School, meet our enthusiastic teachers & pupils on a normal teaching day & speak with our admissions team who will be on hand to answer your questions. There is no better way to learn about our school & how you can become part of our community.